THIS COMPETITION IS NOW CLOSED! THE WINNER WILL BE NOTIFIED SHORTLY! Welcome to the UKYA Easter Egg Hunt! One very lucky winner will win a HUGE grand prize of signed books by over thirty YA authors who write and live in the UK (plus a little extra prize from me!). 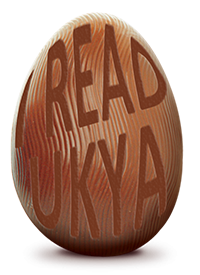 All you have to do is read this blog, count up how many READ UKYA branded Easter eggs you see on the page here, and follow the link at the end to the next blog. Keep going until you get back to the blog where you started, and add up how many eggs you’ve seen along the way. Email your answer to: UKYA2015egghunt@gmail.com. A winner will be chosen at random from all correct entries, and contacted by email. This closes at noon (UK time) on Sunday, 5th April, and is open internationally. So get finding those eggs! And discover some awesome UKYA authors and books along the way. Er…Who’s This Lucy Coats, Then? As you’ll see if you trawl around this site a bit, I write LOTS of books for all ages. However, on May 7th (cue trumpets and fanfares), my very first proper UKYA novel is published. It’s called CLEO, and it’s the first of two books about the teenage Cleopatra (yes, that one), and her path to the pharaoh’s throne. Because it’s me, and I’m a mythology geek, I’ve chosen not to make this a plain historical novel. Instead, I’ve given it a paranormal element, and brought in the gods and goddesses of the Ancient Egyptian pantheon. Some of them have a big role to play in Cleo’s life, but by Ra’s loincloth, they make her work very hard for any rewards! Along the way she finds lifelong friendships, loyalty and (of course) love with the hottest librarian-spy on either side of the Nile, but she also has to deal with murderous sisters, torture and kidnap – plus my least favourite creatures, scorpions, snakes and man-eating crocodiles. Hopefully, this is a book which will tempt you to turn the pages faster than a striking cobra! 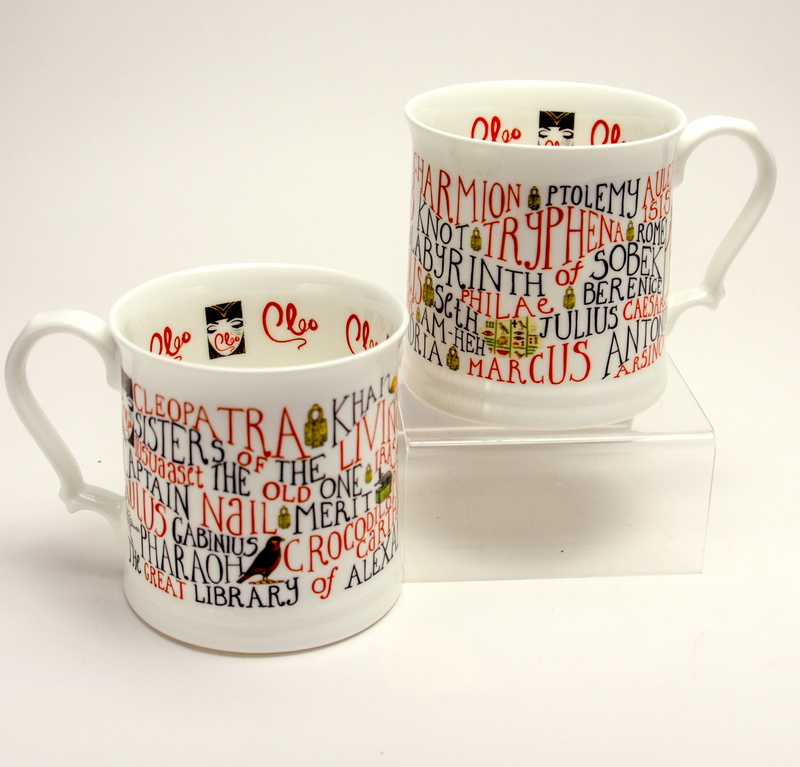 I’m offering NOT ONLY a signed copy of CLEO when it comes out, BUT ALSO one of my specially designed Cleopatra ‘Mugs Full of History’, in a presentation box, so you can drink a nice mug of hot chocolate while you’re reading CLEO (I might even include a sachet if you’re really lucky!). 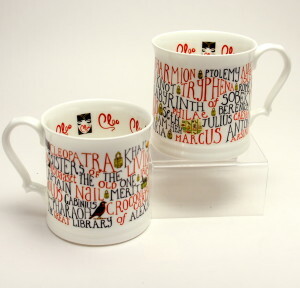 In keeping with this being a UKYA competition, it is made from English Bone China, and designed by a British designer – the lovely Susan Rose, of Susan Rose China. It’s a strictly limited edition, so this is a very exclusive and one-off extra prize! So, get counting the eggs on this page, and then please go and visit my lovely UKYA friend, Emma Pass, who is the next blog in the series, by clicking HERE . THIS COMPETITION IS NOW CLOSED! WINNER WILL BE NOTIFIED SHORTLY! Count this tiny UKYA EGG too! How fabulous!! a) i love your blog background and just really needed to say that okay and b) I ADORE stories where like gods and goddesses are brought to life… did you ever read GODS BEHAVING BADLY? always enjoyed the unpredictable nature of godly characters. Thank you so much, Mia. 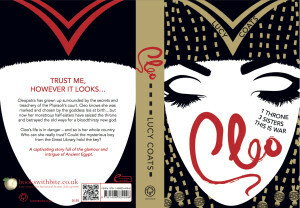 I’m so happy you like the CLEO cover, and I’ll tell my daughter, who drew the picture for the blog background that you like that too! And yes – I loved GODS BEHAVING BADLY too – such a great book. 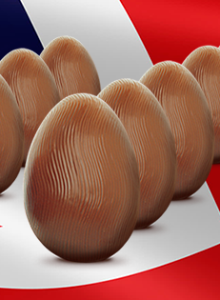 Thanks for taking part in the Egg Hunt – and good luck.